Item # 312744 Stash Points: 4,495 (?) This is the number of points you get in The Zumiez Stash for purchasing this item. Stash points are redeemable for exclusive rewards only available to Zumiez Stash members. To redeem your points check out the rewards catalog on thestash.zumiez.com. 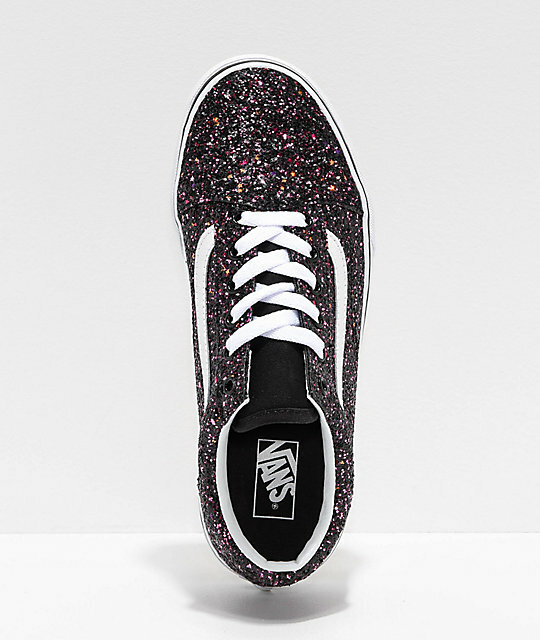 Sparkle and shine in the Old Skool Glitter Star Black Skate Shoes from Vans. 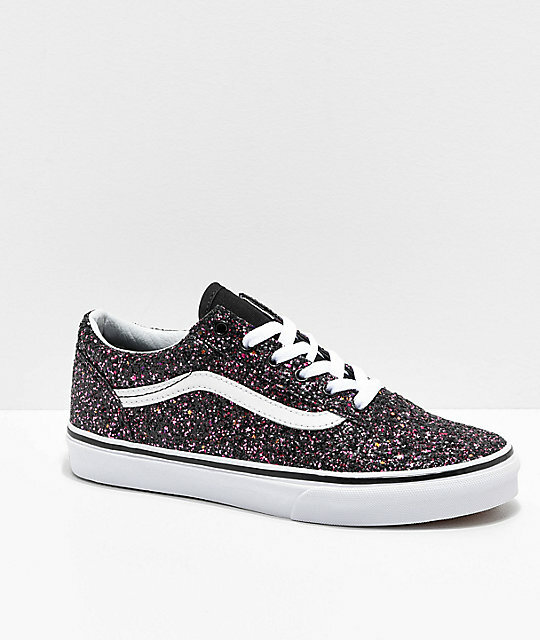 These classic skate shoes from Vans have undergone a facelift, and are featured in a sparkly black, pink, and yellow star glitter finish. Vans signature white leather logo stripe is added to the sidewall for that classic Old Skool style, while the sneaker is complete with a lace-up closure, vulcanized outsole, and signature waffle tread for grip. 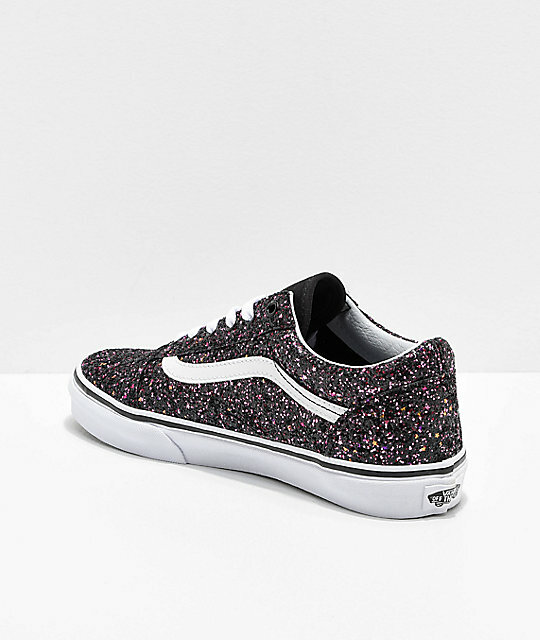 Old Skool Glitter Star Black Skate Shoes from Vans. Black canvas with black, pink & yellow glitter finish throughout the upper upper. Vans cushioned footbed for comfort. Vans signature white leather logo stripe on the sidewalls. 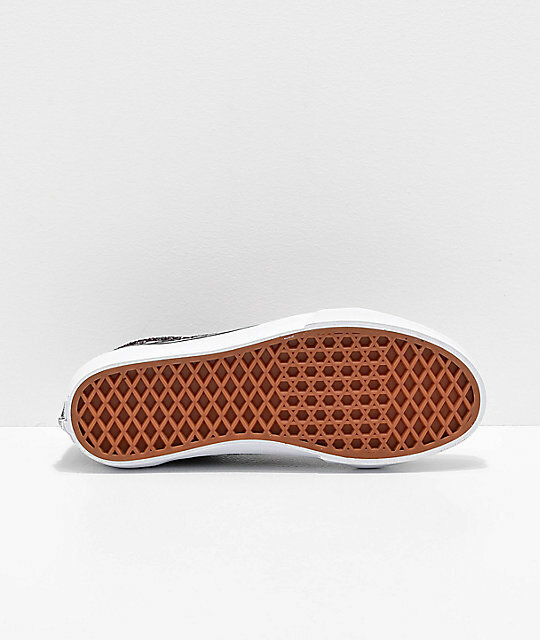 Signature Vans waffle tread for grip. Vulcanized outsole for improved board feel and flexibility. Youth and Women's unisex sizing.